Tripod centre columns are often misleading since manufacturers are inclined to make them far longer than their actual useful length. The higher a camera is lifted on a centre column, the more unstable the tripod becomes as the centre of gravity rises while the size of its base remains unchanged. In addition, the camera gains leverage as the centre section extends, something that can reveal the centre column’s inherent flexibility. Extending a tripod centre column much over halfway is just asking for motion blur. Light’s path through the camera. Since the idea of the single lens reflex or SLR camera first revealed itself in the late 1800s, the system has been beset by one fundamental problem – the mirror, it’s in the way. Having a mirror in the path of the light has given us the precious ability to peer down the barrel of the lens, but when it comes time to shoot, the mirror can’t be hanging around in the image path. To take a photo, SLR cameras must retract their mirror and, to minimise any disruption to the photographer’s view through the viewfinder, the act of retracting and returning the mirror to its rest position must be swift. In fact, the speed with which modern cameras can shift their mirrors is altogether remarkable but, unfortunately, this agility is not without its drawbacks. As the mirror flips back and forth, a small and decidedly unwelcome vibration is sent coursing through the camera body. The vibration, known as mirror shock or mirror shake, has the potential to introduce motion blur into the resulting photo as the camera moves, very slightly, with respect to a scene. The blur is subtle, given that it is the result of only minor vibrations, but it nevertheless translates into images that look slightly softer. 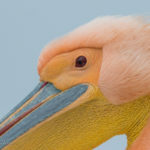 The degree of softness is dependent on several camera-specific variables, most notably, focal length and shutter speed. At longer focal lengths, small movements of the camera body translate into big movements within the frame and, given sufficiently slow shutter speeds, this can result in significant blur. 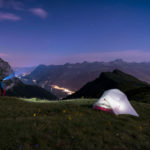 Luckily, landscape photographers generally have the time to be deliberate when it comes to framing and taking photos, and can thus avoid mirror shake altogether. In pursuit of the ultimate image sharpness, here are a few tips to help you do so. The first step towards reducing the blur that results from mirror shock is to reduce just how much the camera can move to begin with. Having a sturdy tripod that is correctly sized for the weight of the camera is crucial to keeping all camera vibrations to a minimum. Most, if not all, SLR cameras come with a mirror lockup facility. 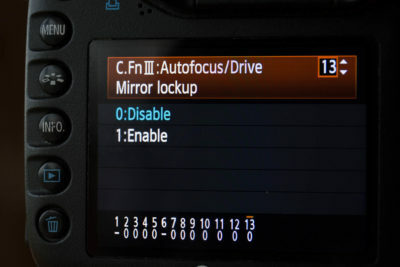 When mirror lockup is enabled, taking a photo requires two presses of the shutter button. The first press lifts the mirror and holds it in its retracted position, while the second press releases the shutter. By having the mirror lift and the shutter release as two separate activities, photographers can take a moment in between presses to allow any mirror shock to dissipate. The mirror lockup option is sometimes buried deep inside the camera menu system. 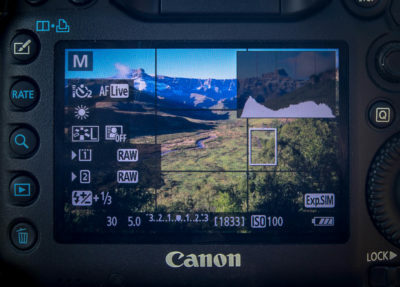 When a camera is operated in Live View, the camera’s sensor is used to create the image preview. This requires that the mirror is permanently retracted and, as a result, when a photograph is taken, there is no mirror to be moved and, consequently, no mirror shock too.